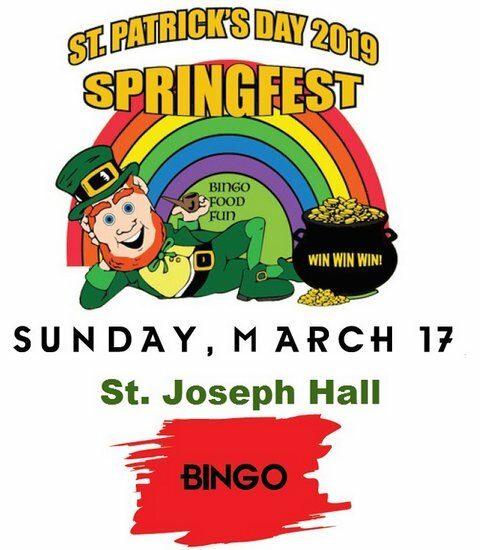 Join us in St. Joseph Hall as we enjoy some family fun and win some money! You may purchase a sheet with four bingo cards on it for $1. Bingo dobbers will be sold for $1 each. 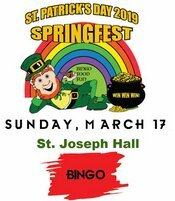 A packet of 6 sheets may be purchased for $10 and you will receive a complimentary bingo dobber. If you purchase the last sheet individually, the cost is $5. This game will be for a larger cash prize and will likely be a cover-all. We accept cash, credit or debit cards. We will begin play between 12 and 12:30 so come early, buy your cards, grab a plate of food and get ready to win!